Last weekend we were able to road trip to my aunt and uncle’s to celebrate Christmas one more time with my mom’s side of the family. 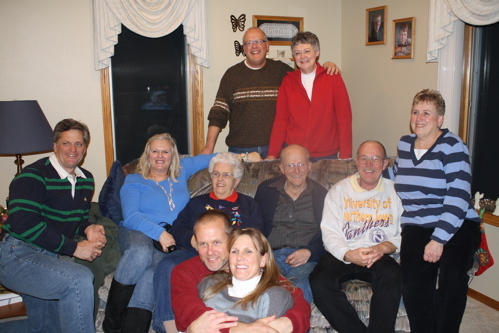 I LOVE that I am still really close to my aunts, uncles and cousins and that my kids will know these people as family! 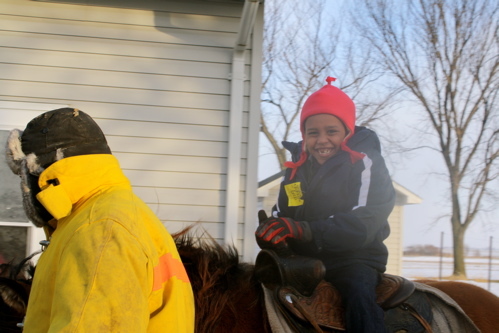 It was about -100 degrees windchill but Tomas still wanted a horse ride. Dailah and Bini thought they did too but this was about the moment Dailah realized that was a ridiculous suggestion. Bini insisted it was what he still wanted. On he went. As he returned, his eyes were watering, he was drooling and there were 2 lbs of snot dripping from his nose. Good times. 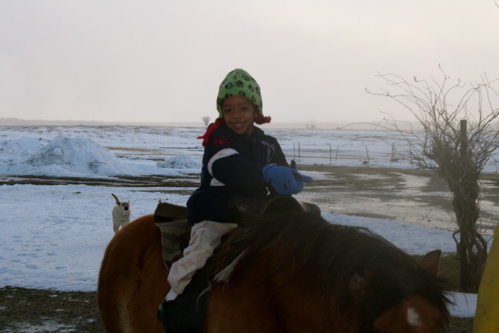 From sub saharan Africa to the frigid Heartland. 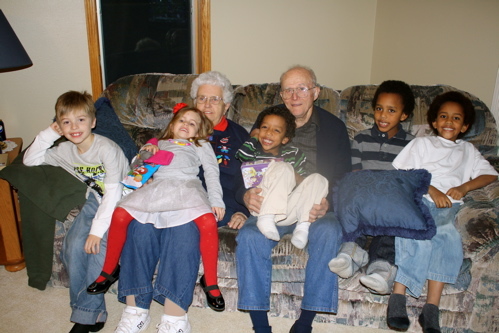 My kids with my grandparents. 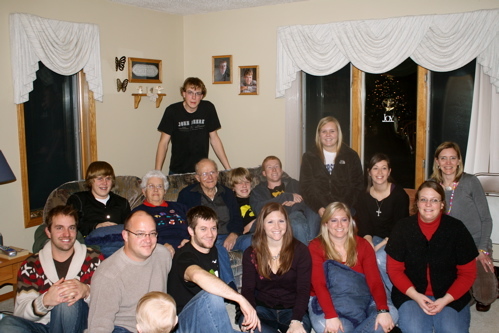 The grandkids (minus a few). 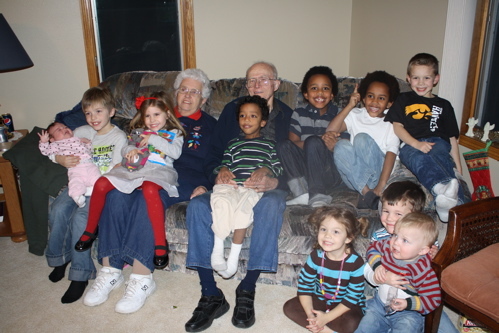 I just pray that someday I can sit on the couch with frank by my side and cuddle with my GREAT grandchildren. Will we be THAT blessed?? ?